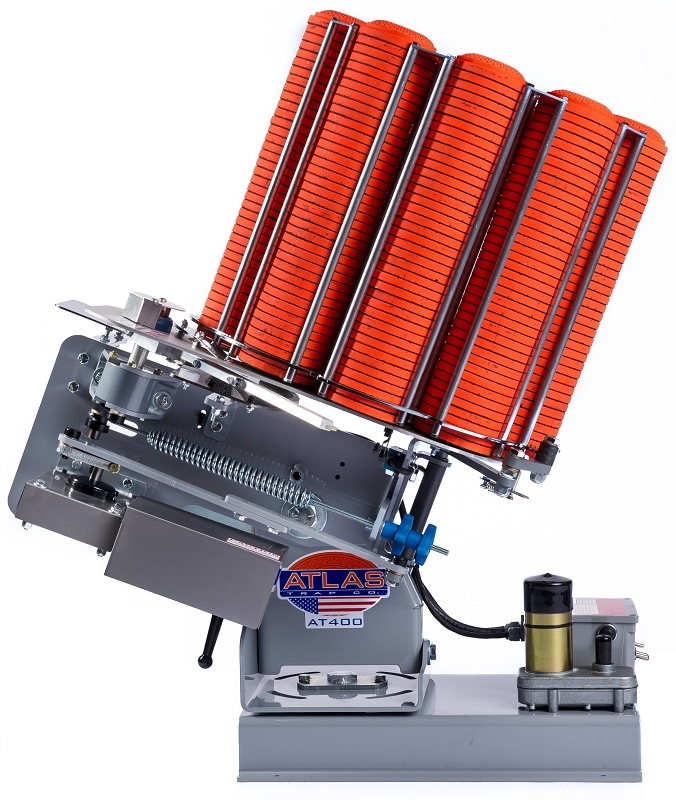 The ATA400 is designed specifically for the rigorous use of commercial trap shooting grounds. 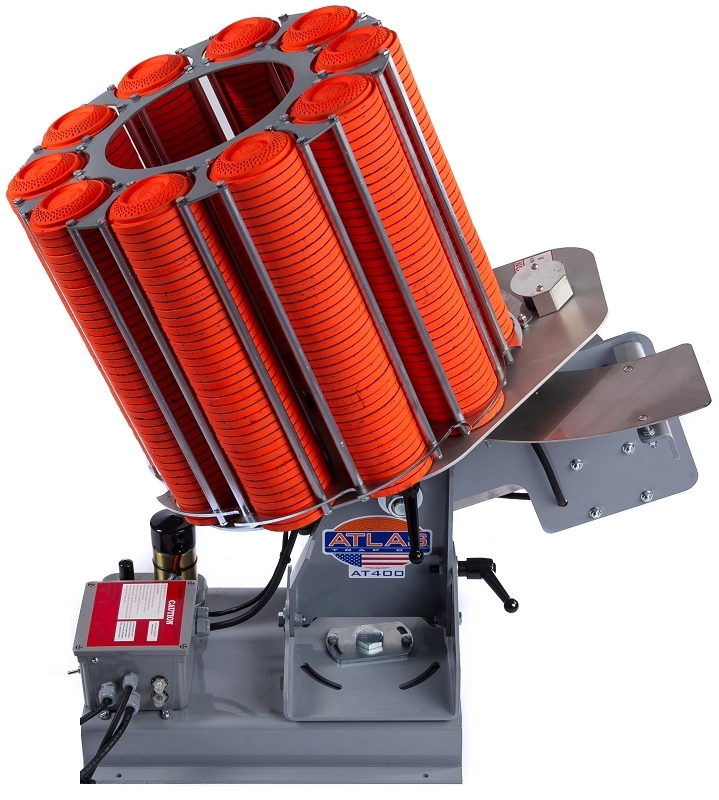 With its 400 target capacity, instant release set to ATA angles the ATA400 is an excellent choice for ATA trap shooting. Powered by a 110 volt or 12-volt battery the commercial-grade motor mated to a gearbox using steel gears will provide decades of dependable service. 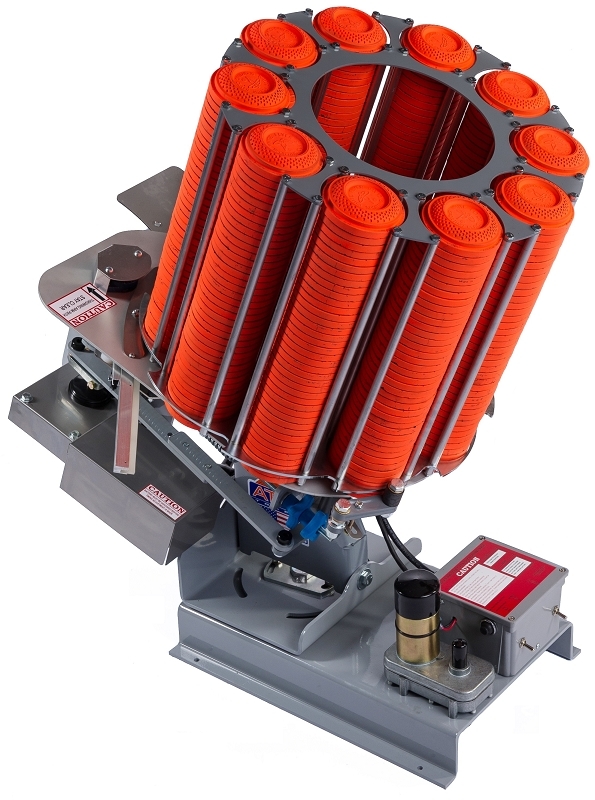 The ATA400 uses heavy-duty corrosion free components through out the entire machine such as the stainless steel top plate, drop and target launch plates. Utilizing the DuraClutch™, electro-mechanical controls, and quick-change aircraft-grade aluminum throwing arm the ATA400 is very simple to operate. The unrivaled Atlas 5-year warranty and a lifetime warranty on the DuraClutch™ and electrical system provide peace-of-mind for club owners and grounds keepers.